A-HOTEL.com - Pastida luxury and cheap Apartments. Short and long apartment rentals. Pastida apartments offer a convenient alternative to hotels. Traveling with a family or group of friends? Rental accommodation in private apartments offer more space, privacy and often even cooking facilities and all that at more favourable price. You can chose large or small, luxurious or cheap apartment in Pastida. After entering the dates of your stay you will see available Pastida apartments and their precise prices in a given dates. With filters you can narrow or refine the offer of available offers and find for your stay the best apartment in Pastida. 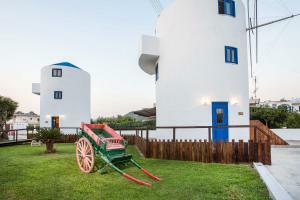 Situated in Pastida, Christina Dream Village offers accommodation with a terrace and kitchenette. Free WiFi is available. This apartment complex is tranquilly located within an extensive garden in Pastida, just 5 km from the airport. It includes an outdoor swimming pool with separate children's section surrounded by a garden with sun beds. 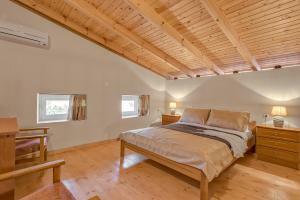 Offering free WiFi and mountain views, EVA's House is an accommodation set in Pastida. This property offers access to a terrace. Featuring an outdoor pool with separate children’s section and sun loungers, Villa Sofia is located 350 metres from Ialyssos village. It offers self-catered accommodation, and free Wi-Fi in the pool area. Situated 8 km from Filerimos and 6 km from Acropolis of Ialyssos, Mirties Apartment offers accommodation in Ialyssos. Free WiFi is available. The family-run Esmeralda Hotel is a 5-minute walk from Kremasti and 15 minutes’ walk from the shingle beach. This self-catering base features a bar and restaurant, and a freshwater pool. Situated in Ialyssos in the Rhodes region, Jasmin Studio has a terrace. Free WiFi is provided. Vivian Studios is located in the traditional village of Ialissos, within a 10-minute walk from the nearest beach and very close to Filerimos Mountain. It offers self-catering accommodation while rich breakfast can be enjoyed. Situated 700 metres from the beach of Ialyssos, the family-run Takis Hotel Apartments offers accommodation with kitchenette and free Wi-Fi access. Diagoras International Airport is a 10-minute drive away. Quietly located in a well-tended garden, Alexia Apartments & Studios offers self-catered accommodation with free Wi-Fi. A bus station is at 30 metres and the organized beach of Kremasti is 400 metres away. Set in Kremasti, L & C Boutique Apartments features accommodation with a seating area and flat-screen TV. Complimentary WiFi is available throughout the property. Within 300 metres of Kremasti Beach, this complex offers self-catering accommodation with a private balcony overlooking the garden or the surrounding area. It has a swimming pool and a bar and it is only 2 km away from Rhodes International Airport. Just 200 metres from the beach, the family-run Anseli Hotel is located in Kremasti Village, only 300 metres from the centre. It features an outdoor pool, restaurant, bar and accommodation overlooking the garden or pool. Within 5 km of Filerimos and 4.1 km of Acropolis of Ialyssos, Valia's House provides free WiFi and a terrace. Emerald Hotel is located near the popular tourist destination of Kremasti in Rhodes. The family run property offers a friendly and relaxed atmosphere just 300m from the beach. The Paleos Apartments rests just 700 metres from Ialyssos Beach, near the ancient town of Ialyssos, and 8 km away from the Medieval Town of Rhodes (a UNESCO world heritage site). Guests to the family-run Paleos Apartments can enjoy delicious meals and plenty of sun and relaxation by the swimming pool. Featuring an outdoor pool with sun terrace, Antomar Apartments and Studios are located in Trianta Village. They offer self-catered accommodation with air conditioning. Located within a 5-minute walk of the beach of Kremasti Maria Studios & Apartments offers self-catering accommodation with free WiFi and balcony. The village centre with tavernas and shops is within a 5-minute walk. Just 20 metres from the sandy and pebble Kremasti Beach, Bayside Hotel offers accommodation overlooking the garden, pool or Aegean Sea. It features an outdoor swimming pool for adults and children, pool bar, main bar and and a Greek Taverna next to the beach . With a garden and a terrace, Alkyonides Hotel offers accommodation with free WiFi. There is a fully equipped private bathroom with shower and free toiletries.